G-Eazy grabs verses from Lil Wayne and Yo Gotti for the official remix to his “Order More” single that also features Starrah on the hook like on the original version. The original version of this DJ Spinz, Southside, and GSP-co-produced song can be found on Eazy‘s When It’s Dark Out album, which dropped at the end of 2015. You can listen to the remix of “Order More” after the jump below. The track will be released on iTunes this Friday (April 1st)! 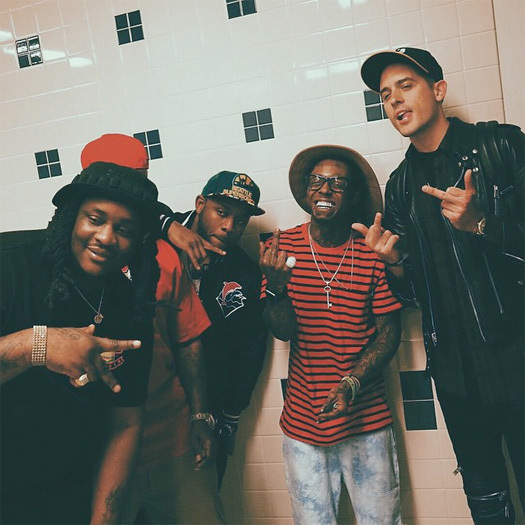 Be the first to comment on "G-Eazy – Order More (Feat Lil Wayne, Yo Gotti & Starrah)"